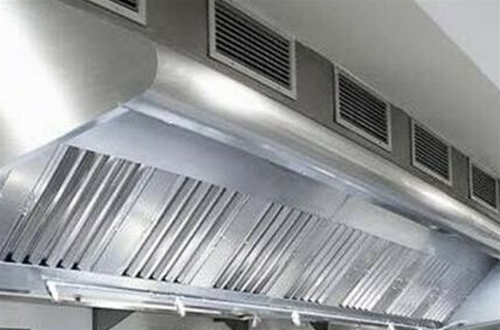 Kitchen extraction or ventilation systems are a must-have in commercial kitchens and are legal requirements. 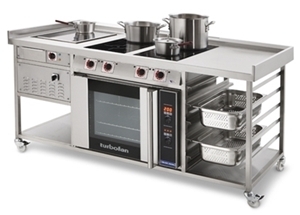 The environment in commercial kitchen has to be very controlled to guarantee the health and safety of everyone. The large amounts of heat generated from the burners means that people in the kitchen have to work in tough conditions. Lack of an extraction system means that the heat, smoke and toxic gases from combustion processes circulate in that area, not to mention spread to other sections of the building. So, how does a commercial kitchen ventilation/ extraction system work to reduce these risks? A CKV contains a hood, which is the part that allows the extrication of gases from the surroundings. There is a canopy hood that has its inside edges hanging over cooking equipment to catch contaminated air. Canopies remove hot air at the source, so it does not have a chance to move to other parts of the kitchen. A canopy hood must have the appropriate filters to provide adequate extraction. These filters make certain that there is no buildup of grease residues or other particulates in the air inlets, which can interfere with the system’s efficiency. A ventilation system must have ducts to facilitate fume discharge. Ducting also allows fresh air to get into the kitchen for complete combustion. It also reduces the level of carbon dioxide accumulating in the kitchen. The fans, which are included in the CKV design, are for moving fumes from the hood to the ducts. Some systems also have carbon and grease filters to trap greasy fumes. When installing a ventilation/extraction system in your commercial kitchen, it is crucial to insist on the most energy effective design. Just because a CKV comes with the right components does not mean that it is suitable for installation. Here are some characteristics of an effective CKV design. Canopy hoods come in different designs, depending on the mode of installation. 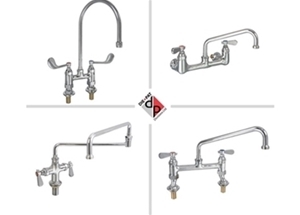 Wall hoods are installed against walls, and single island hoods are set up over a single line of equipment. The operation of a canopy hood has to guarantee that cooking fumes are extracted effectively. To achieve this, the size of the hood has to be large enough to cover the appliance, so fumes don’t spill over. The hood's positioning should be as close to the cooking equipment as possible. Maintaining a constant rate of ventilation in an interpreted flow of air is vital; hence, the need for a solid design. Before picking a canopy hood, get calculations of the ventilation rate of the kitchen that is getting the fittings. Canopies have to take in a lot of heat, thus the requirement for non-combustible material. An effective canopy should also discourage condensation because that will lead to the accumulation of particles inside the hood. Note that all the appliance in a commercial kitchen that are generating fumes should each have a canopy. The ductwork has to be in accordance with building and safety regulations. 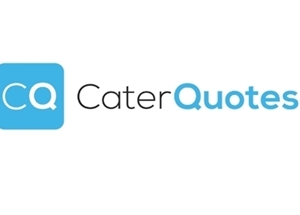 Sizing and installation are two aspects to consider when deciding on the right ducting for a commercial kitchen ventilation system. The insulation of the duct also matters because it dictates how well the system discharges hot air without losing heat to the surroundings. Fire protection standards must be implemented when installing the ductwork, which is why a certified engineer should do it. The face of a canopy hood contains filters whose main purpose is to avoid flames from getting to the ducts. Filters also have baffle grease filters that help with the condensation of grease vapours and moisture before they enter into the system. The performance of a filter will depend on its configuration. Carefully consider the hood requirements before picking the right filter. High-efficiency filters are recommended for CKVs because they remove more contaminants and grease than their alternatives. The extracted air needs to be replaced to maintain atmospheric pressure. Negative balance due to lack of makeup air will result in inefficient fans, increased air infiltrations from outside and an uncomfortable working environment. This air should be fresh, and that can be natural or mechanical. Mechanical air is usually a solution when working with large systems. Ceiling diffusers are some of the equipment used to deliver replacement air in commercial kitchens. Wall and island hoods are the most suitable to use with diffusers. Another option would be to use a plenum in the kitchen hood. The plenum can be in front or behind the hood. When using mechanical air systems, ensure that they are directed to the hot work positions. A replacement air system can retrieve air from a rooftop unit, then filter, heat and cool to attain IAQ standards. The system can also draw air from the dining area to meet a fraction of the replacement air demands in the kitchen. Doing this not only improves the comfort of the kitchens staff but prevents odours from drifting into the dining section as well. Using air conditioning and fans is another way to ensure the comfort of workers. Setting up a commercial kitchen extraction system has to be after taking several regulations into consideration. For one, there are the workplace regulations that require every enclosed workspace to have proper ventilation. Employers must ensure that workers have safe working conditions. Failure to meet these standards comes with hefty fines. All installations must also follow gas safety rules. For instance, an extraction system in this instance works as a flue and the law demands that there should be a suitable interlocking system. Hiring an engineer will help avoid violation of any health or gas safety laws. Access is another consideration when installing a commercial kitchen ventilation system. During its lifetime, such a system will encounter various issues. At some point, it demands repairs or replacement of some components. It would be difficult to provide that if a system does not leave room for engineers to access it. CKVs require cleaning if they are to remain efficient, which would also be challenging when people can’t get to some parts. Evaluate building plans to provide for maintenance access.